John Henry Deighton was born in 1940 in Islington, North London. His learned to play the guitar and his earliest musical hero was Lonnie Donegan. As a teenager John formed his own skiffle band, called the John Henry Skiffle Group and they won the amateur All England Skiffle Championship. In 1958 he had abandoned the guitar to sing rock’n’roll with the Johnny Burns Rhythm and Blues Quartet. A year later John met Bobby Taylor and was asked to join his band, the Thunderbirds (named after the American car). John changed his surname to Farlowe, in homage to the jazz guitarist, Talmage Holt Farlow, (or Tal Farlow) and when a friend suggested Chris Farlowe sounded good, his stage name was complete. Bobby Taylor played lead for the Thunderbirds and they modeled themself on Johnny Burnette’s Rock’n’Roll Trio. The group started to play locally (North East London) and built up a loyal following. Chris’s voice was remarkable and he could sing like Little Richard and Ray Charles. Chris Farlowe and Thunderbirds became part the British migration to Hamburg clubs where the singer increased his command of R&B. By 1962 when the band released their first single ‘Air Travel' they were firm favourites at the Flamingo Club, London. Albert Lee (Ten Years) replaced Bobby Taylor, and Dave Greenslade joined the line up as keyboard player. Columbia records signed the band but despite their high profile on the club scene the subsequent singles were out of step with their real forte, which was R&B and Soul. Despite critical acclaim little commercial success followed. Chris’s voice was quickly recognised as unique and he was frequently thought to be a black artist. In 1964 under the name The Beazers, Decca released The Blue Beat, which was a dance club favourite and it sold respectably well. Later in the same year Chris, under the pseudonym Little Joe Cook, released “Stormy Monday Part I and II, which helped perpetrate the myth that he was black. 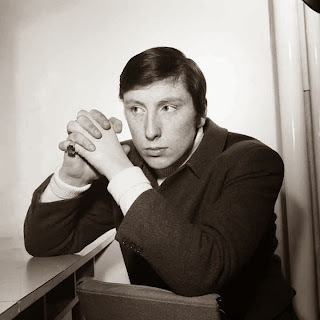 Chris Farlowe's vocal phrasing and dynamics owe much to his jazz, blues and rock'n'roll influences, but it is obvious as a performer he is a natural "soul" singer. Chris Farlowe’s version of the blues standard is thought by many to be the definitive interpretation. It is just that good. A year later ‘Buzz the Fuzz’ was released by Chris Farlowe and The Thunderbirds. The song was a firm favourite with clubbers mainly because of the drug driven lyrics. Despite becoming a Mod Anthem it was too hip to be a hit and very quickly withdrawn by the record company when they realised the significance of the title and lyrics. In late 1965 Chris Farlowe and The Thunderbirds signed with Andrew Loog Oldham on the immediate label. Their first single ‘The Fool” was produced by Eric Burdon but failed to make an impact. Loog Oldham brought out Farlowe and the Midnight Hour was an extended play (EP) single and it contained superb versions of 'In the Midnight Hour', Mr Pitiful, Satisfaction and 'Who Can I Turn To?' This sold well and when it was followed up with the Jagger and Richards’s composition ‘Think,' the record, charted. The Stones were the resident big band at Immediate and Jagger and Richards were encouraged to write for other artists. Keen for another hit Immediate followed up with another Jagger and Richards’ composition called “Out Of Time" which became one of the greatest hits of 1966 and went to Number One in the singles chart. Keen to cash in on the success EMI ill advisedly released 'Just a Dream' followed by another Jagger and Richards composition, 'Ride on Baby,' but neither were on a par with OOT and despite Chris’ excellent soul and blues vocal style, the new fans lost interest and the band’s fortunes began to slip. Towards the end of the sixties Chris Farlowe and the Thunderbirds continued to record and had credible versions of Out of Time and Paint it Black released but with only modest success. His last chart success of the decade was Handbags and Gladrags a song written by his friend Mike D’abo (Manfred Mann) which proved a great vehicle for Chris vocal style and one of the better songs of period. It was later covered by Rod Steward which in my humble opinion was a pail interpretation by comparison. By the end of the sixties Chris was without a recording contract and no longer did live gigs. He and the Thunderbirds broke up. Then in 1968 Chris formed a backing band called the Hill with the lineup of Albert Lee (lead guitar), Pete Shelley (bass), and Carl Palmer (drums). They recorded one album for Polydor, called From here to Mama Rose. Chris Farlowe has always considered this to be the pinnacle of his recording career. In 1970 Chris joined Colloseum, a progressive rock band, and made a couple of albums before quitting to join Atomic Rooster in 1971. A serious car accident forced the singer out of the business for a couple of years but in 1975 he reformed the Thunderbirds and enjoyed a short chart success with the re-release of 'Out of Time.' His version of 'Only women bleed' was a perfect vehicle for his soul voice and on a par with Handbags and Gladrags. In 1981 Jimmy Page asked Chris to sing on the soundtrack album for Death Wish II then again in 1988 he was back from semi retirement guesting on Jimmy Page's 'Outrider' album. Two other albums 'Out of the Blue' and 'Born Again' met critical acclaim and relaunched his career. Chris joined a reformed Colloseum in the 90s and toured with the band as well as continuing as a solo artist. As a singer and performer he is as busy now as anytime in his career and combines his showbiz life with the other love of his life, militaria. He is an antique dealer and specialises in Nazi memorabilia.